Gaelic football was played in the parish before the turn on the 20th Century. A team was formed in Clonegal in 1888 and some of the Kildavin men joined this club. The first Kildavin team on record was a team of 21 players which represented Kildavin in 1894. In 1912 a game was arranged between Kildavin and Clonegal which Clonegal won by a single point. After this game the enthusiasm led to a meeting in Maria Doyle’s (Kinsella’s shop) in Kildavin. Further meetings were held in April 1914 and on 26th May 1914 the Junior Football Club was formed. Down the line they were offered a field by Michael Kavanagh of Ballyshancarragh. For a short period in 1918 Kildavin and Clonegal were united on the field but Kildavin decided to go it alone for 1919. In December 1919 Kildavin won their first championship. This was the first time a team from the east of the county had won it. There were many ups and downs through the years with 1970 being a particularly memorable year. In this year they won the Senior Football Championship and the League while the Junior Hurlers also did the honours. This year also saw the opening of Spellman Park, Kildavin. The under 21’s lost the final this year. 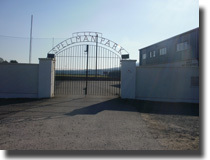 2009 saw the opening of the new Spellman Park Complex with facilities that any club in Ireland would be proud of. It is our fervent wish that these facilities and the memories of the past will inspire our teams to even greater achievements. A well-attended AGM of Kildavin Clonegal GAA Club heard that during last year the first shoots of the efforts of many in the club were beginning to show dividend’s with the club emerging from one of the more turbulent periods in its history. The club had been successful in securing four grants over the last year, which will make refurbishment of the building possible. Secretary Donal Murphy reminded those in attendance that the clubs intermediate team reached the county semi-final and delivered some good performances in the league and championship campaign. While silverware eluded the club it was never out of reach. At other levels the club struggled to field teams but must recognise there are some outstanding players among its numbers. The Juvenile wing of the club is growing in strength reaching two county finals at under 12 and under 14. Its hard working committee have embarked on a player development programme. A whole of club games and development programme is envisaged as a part of the work of next year’s executive. Gift Vouchers are available. The vouchers will allow the purchaser to give gym membership, use of the sports arena, club membership. As well as being available to individuals; the vouchers would make memorable gifts by businesses to their loyal customers. Anyone wishing to participate in the club or explore participating in the club, either on or off the field, contact any member of the committee see www.kildavinclonegalgaa.ie for contact details.